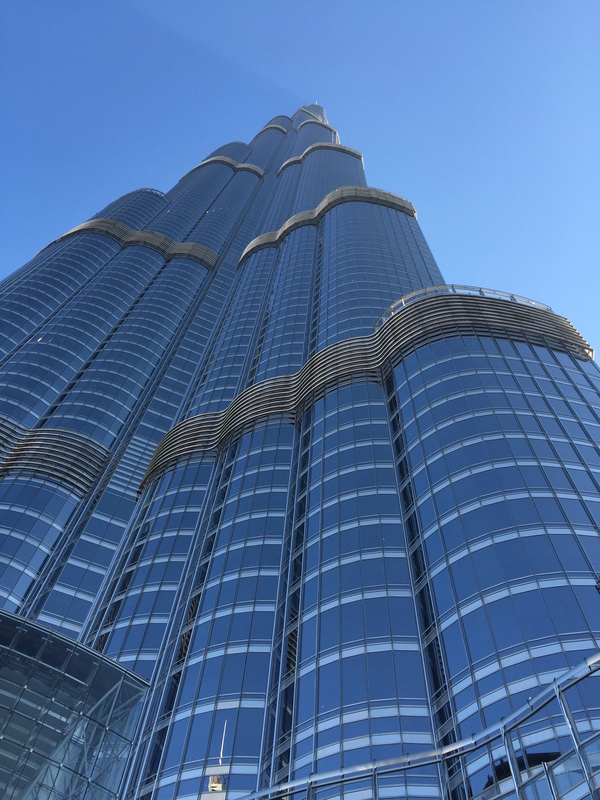 Eating Gold - High Tea at Burj Khalifa | No Mas Coach! There’s something pretty amazing about afternoon tea, especially if you’re in a place where they do it right, like in London at the Millennium Mayfair, our favourite. 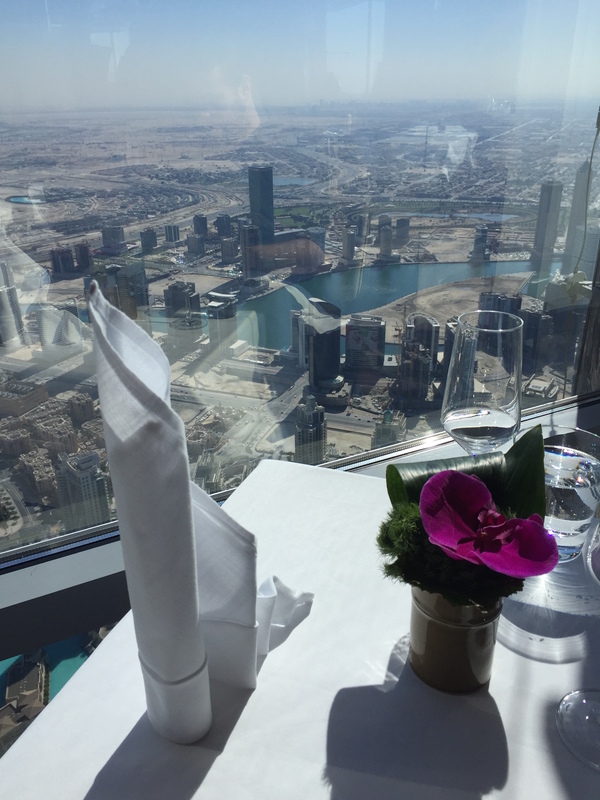 But there’s something even more magical about having your afternoon tea at the world’s highest restaurant. 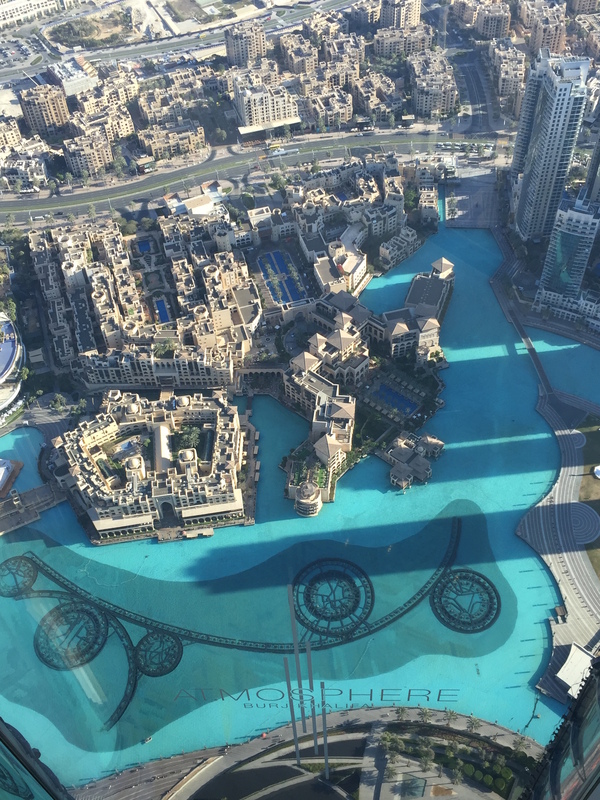 For those of you who don’t know, At.Mosphere is the restaurant located at the top of the Burj Khalifa in Dubai, the world’s tallest building. 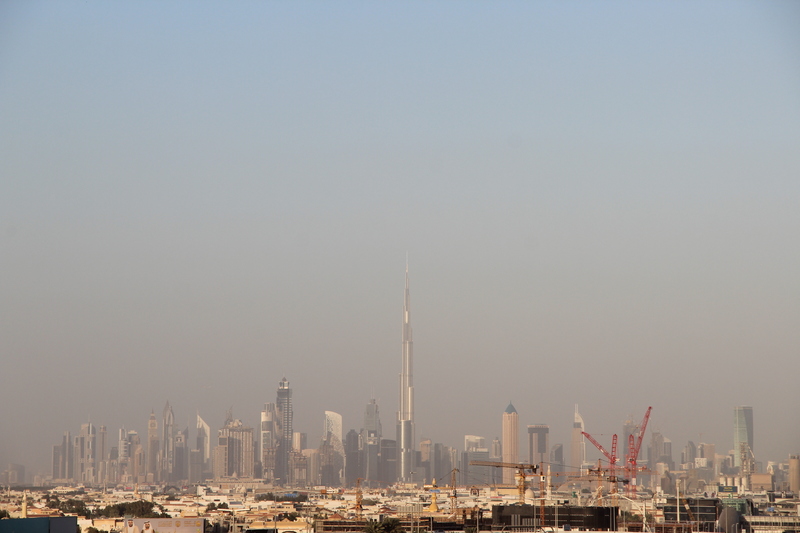 To give you an idea of the size of this building to the rest of the skyline, just check this out. 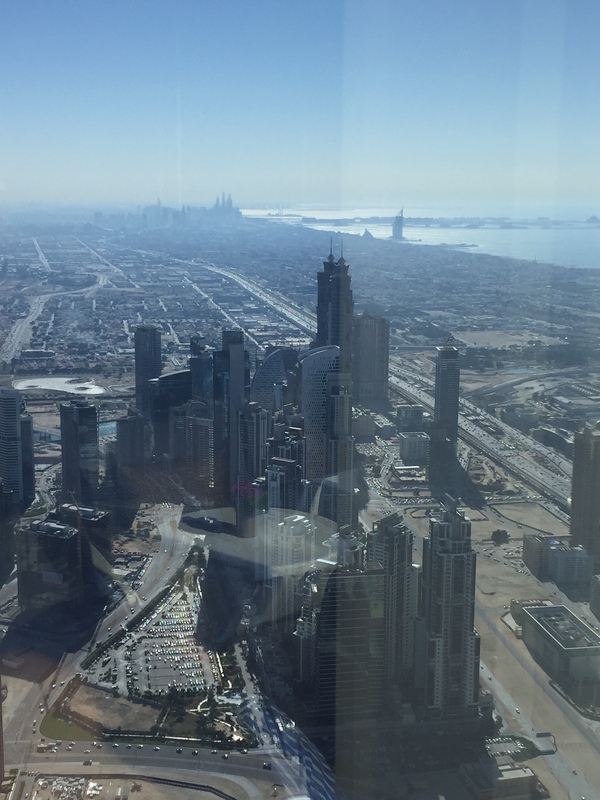 Rest of the Skyline , from 123 floors up. Just look how much taller it is than the rest! Getting a reservation was actually pretty easy. I emailed the restaurant about a week before we were to arrive, and they happily confirmed us and the type of tea that we wanted. There are three types of afternoon tea offered, and only one “guarantees” a window seat. We chose the middle option which did not guarantee a window seat, but since the restaurant was half full, it was no problem getting a seat at the window. It should be noted however, that if you don’t get a window seat, don’t dismay. The restaurant it small enough that you can see out all the windows, and getting up to go check out the sights is easy. Most people were quite friendly when we went over to the other sides of the restaurant to take pictures. We were confirmed at 2:30pm and we left just before 4:30. 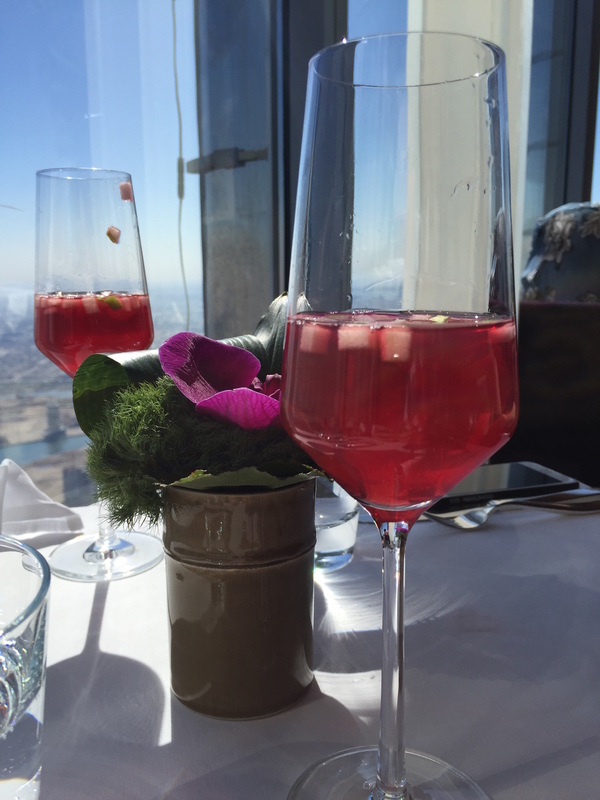 It was a slow and relaxed tea experience, and with all the amazing views and drinks, I wanted to extend this experience for as long as possible. This is where the water show takes place at night. 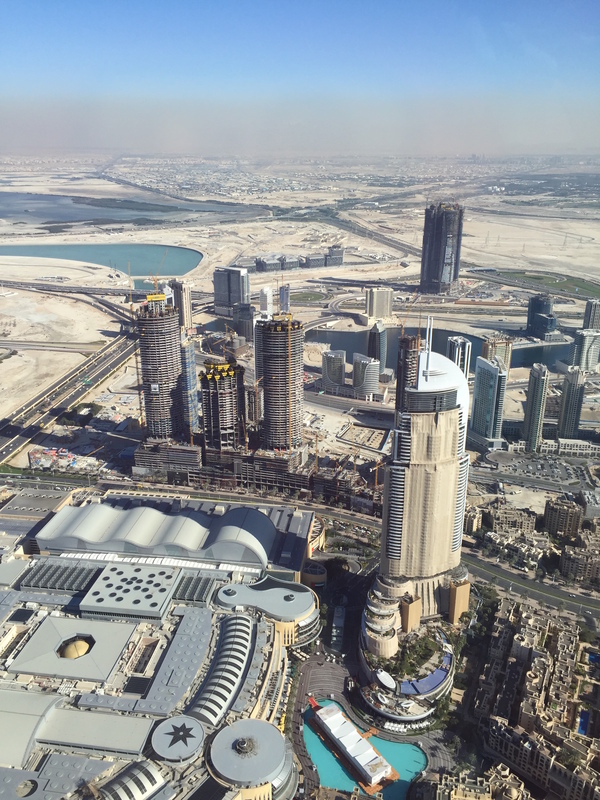 Remember the big Dubai hotel fire a few months back? There’s the tarp covering the side of The Address. It will take a long time for that damage to be repaired. 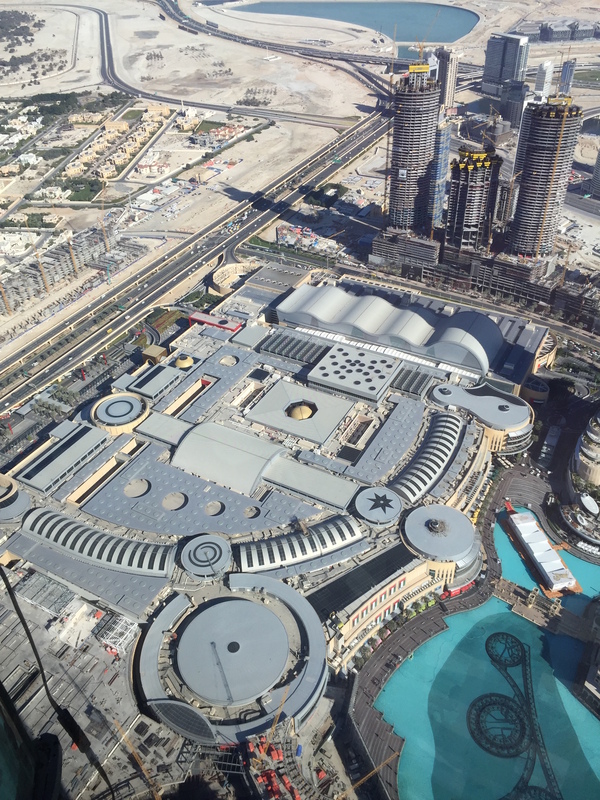 The largest mall in the world by total area, the Dubai Mall. Over 1.2 million square feet. 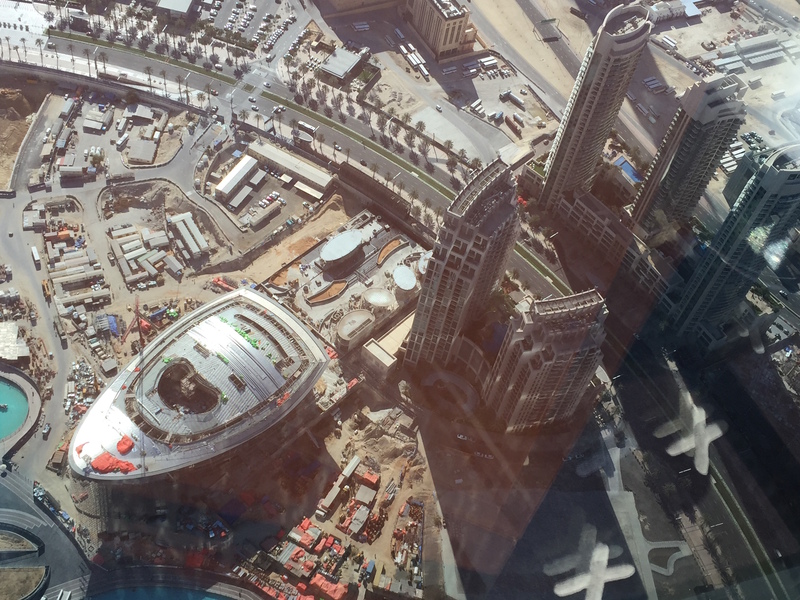 There’s so much construction going on, all in advance of the Expo 2020. The afternoon tea came with an unlimited number of hot or cold drinks. These can be espressos, cappuccinos, tea, etc. Or for the selection of cold beverages, you can choose from drinks with names like Red Sand, Tropical Smile, Liquid Spa, and Afternoon Delight. The tower was brought out shortly after with a small, but tasty selection of scones, finger sandwiches, and decadent desserts. Presentation is everything. 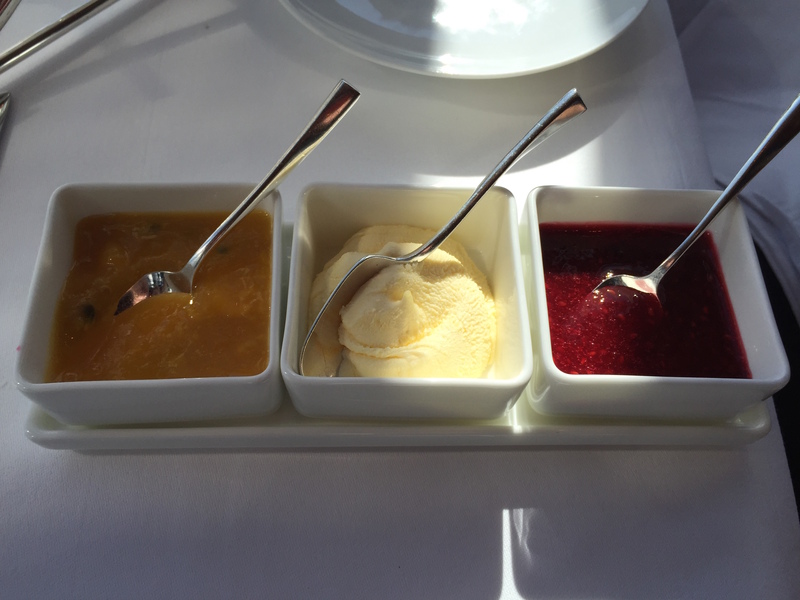 Notice how even the spoons are all perfectly aligned in the cream and preserves. 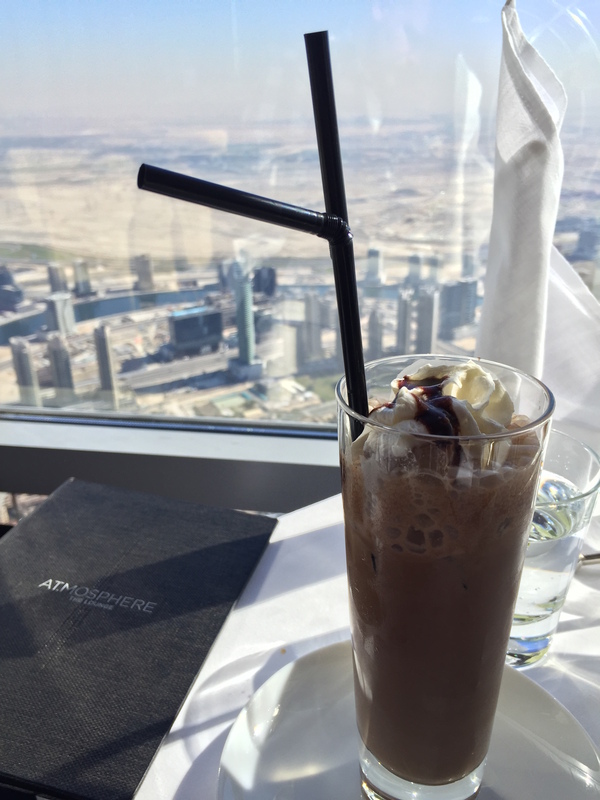 It was pretty warm by the window, so I keep ordering the cold drinks. 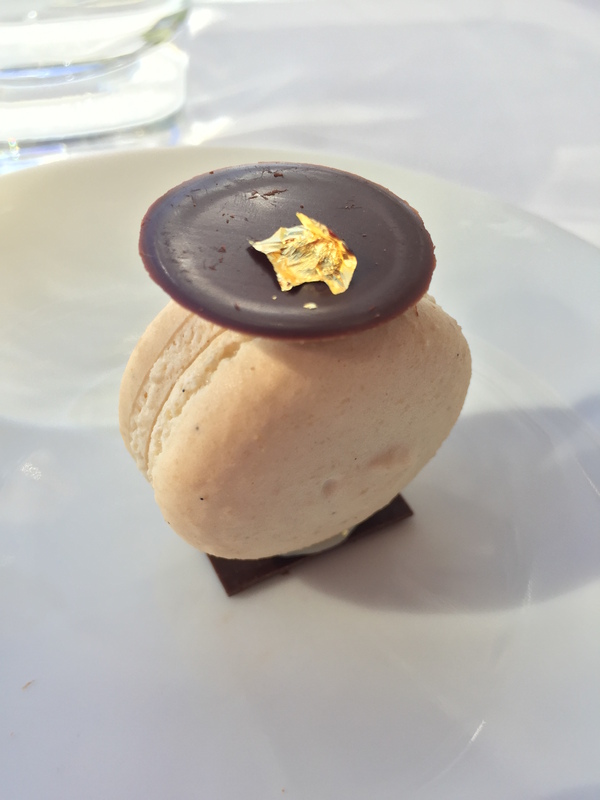 This one below, the Ganache 87, I ordered three of. Guilty pleasure perhaps? 🙂 It’s iced coffee blended with Bailey’s ganache, 87% dark chocolate and mascarpone cheese, and topped with vanilla foam. Un-Buh-Leeve-Able. I think I had three of these. 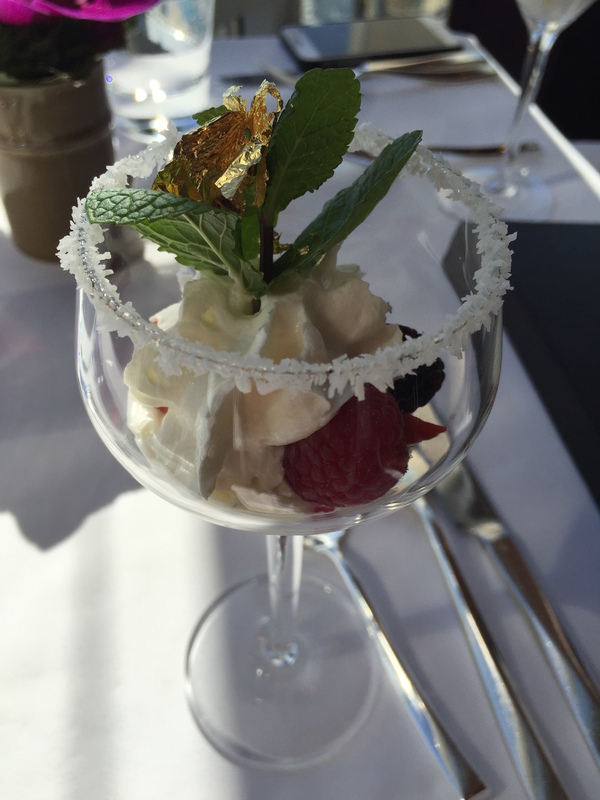 More gold leaf… because THEY CAN. 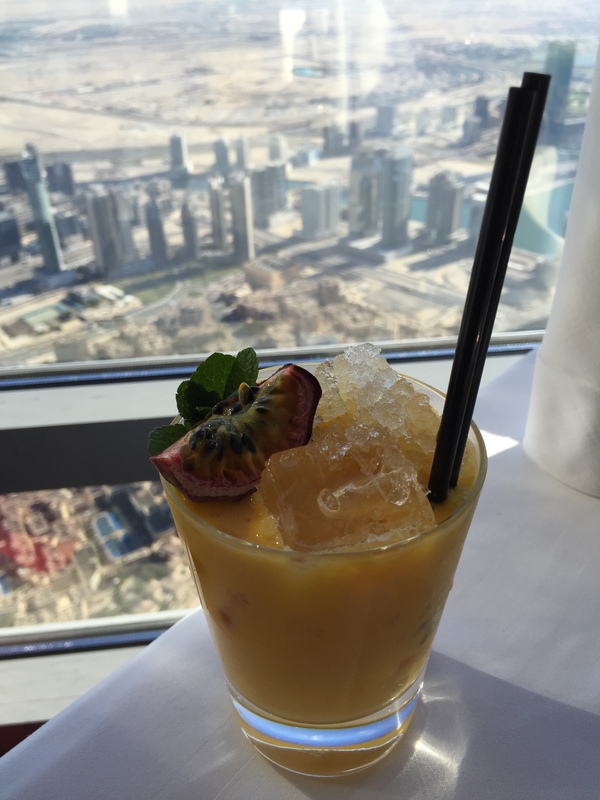 And to finish the afternoon, a tropical smile, which was passion fruit and mango layered with coconut cream. 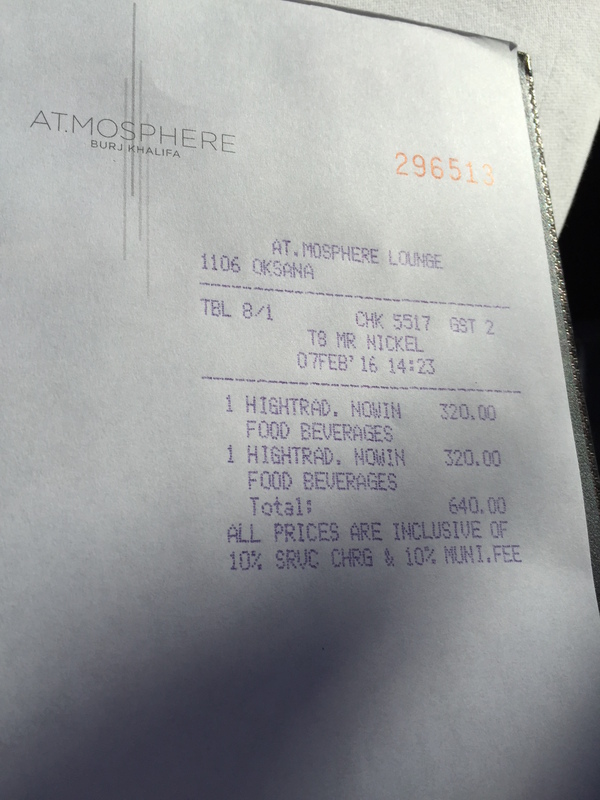 As all good things must come to an end, and the damage bill arrived, at a total of 640 AED. In US dollars that’s about $175, including tax and tip. 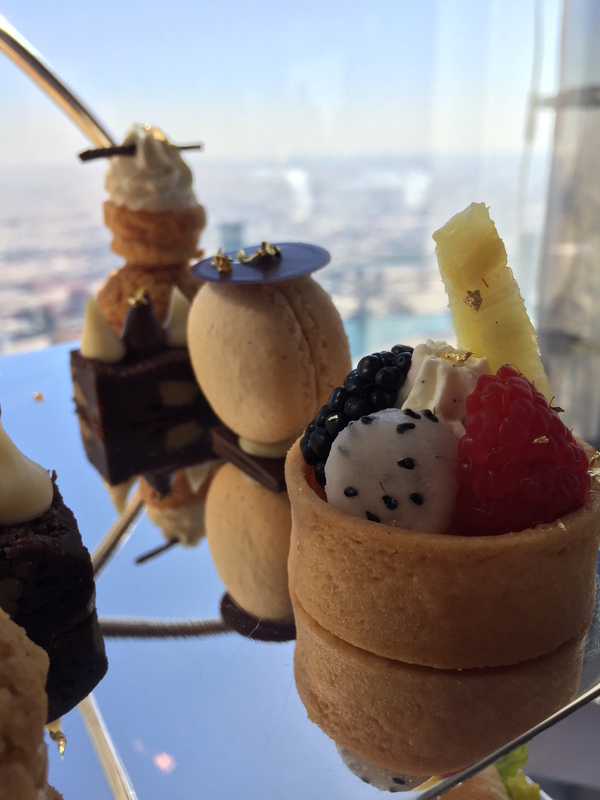 A normal afternoon tea in London for two people goes for about $100-110, so a bit of an up-charge for unlimited drinks, coffees, and one hell of a view, for me at least, was a splurge well worth it. Plus, we ate gold. Twice. 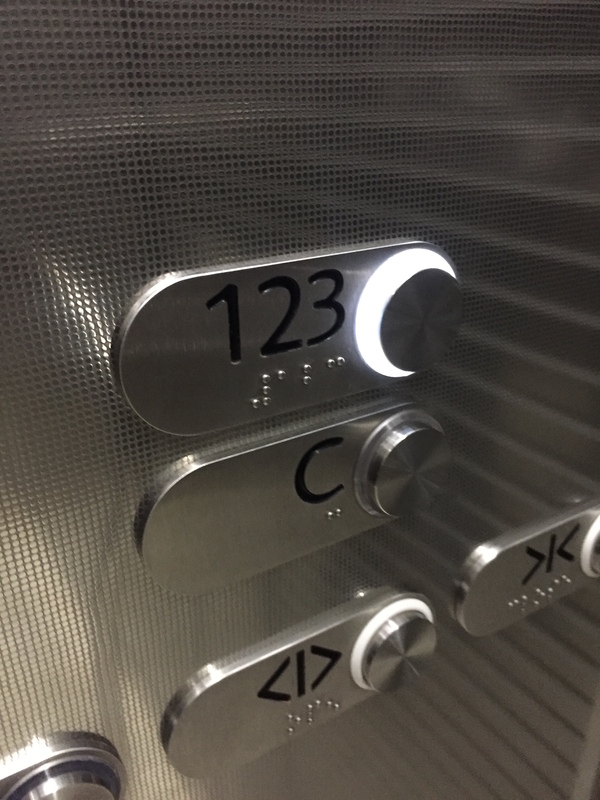 The ride back to reality in one of the most minimalist elevators ever, 123 floors in just under a minute. Our ears popped at least 6 times on the way up and down. 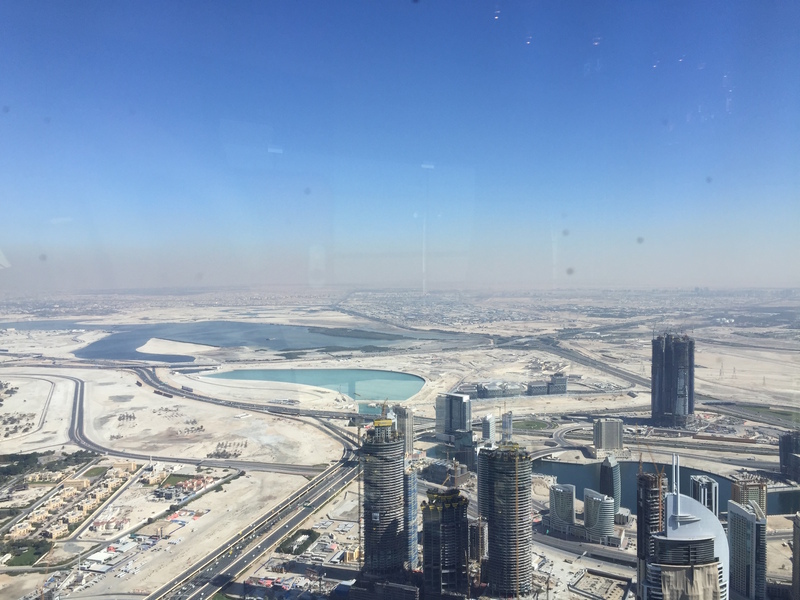 123rd floor – the only option! Will we go back to At.Mosphere? No. Now that we’ve done it, we can check it off the list. It’s a great once-in-a-lifetime opportunity or special occasion destination, but it isn’t amazing enough for me to want to go back over and over again, especially considering the price. 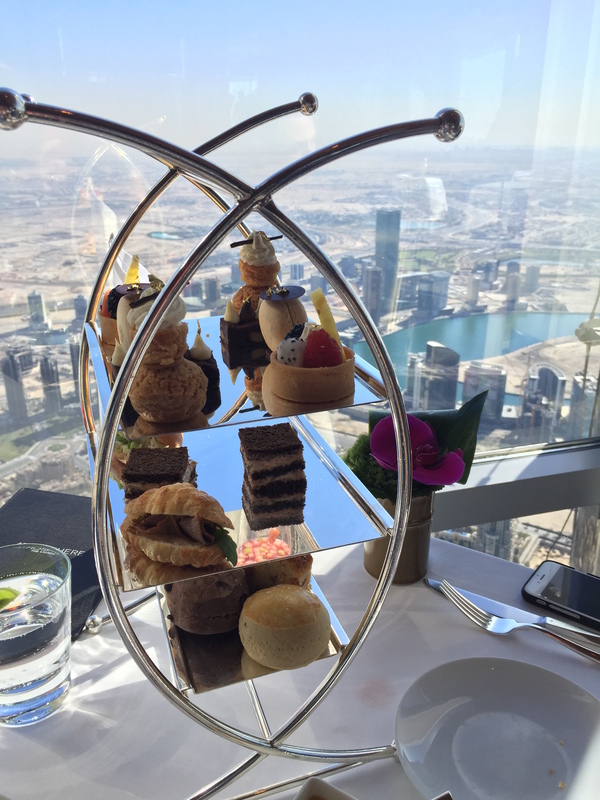 There are other places to have tea, including the Burj Al Arab hotel (which I really want to try next time we go to Dubai) that are just as expensive and I’d love to give them a review. With that said, if you find yourself in Dubai then you should go have tea up here. 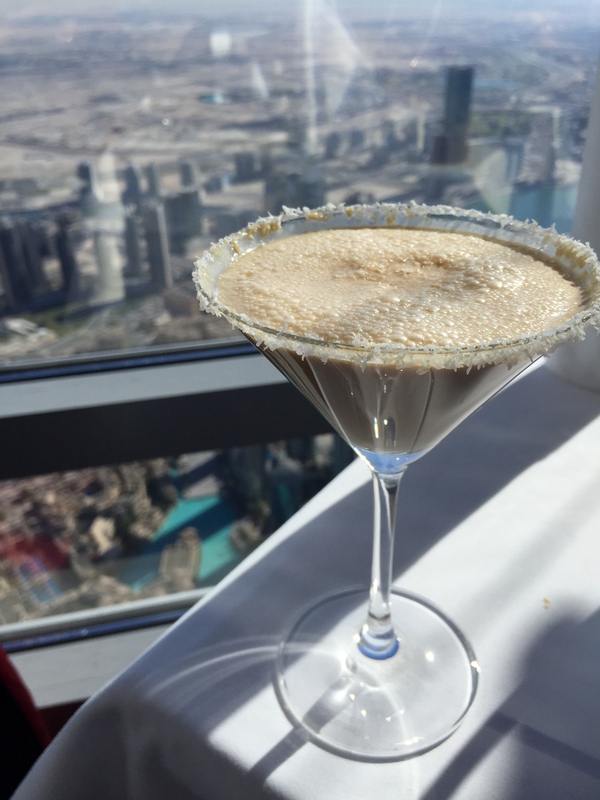 Dinner reservations run upwards of $300, for each person, so this is an excellent way to get up to the top of the tallest building in the world, and have a non rushed tea and drinks experience at the same time! Great report. Would like a couple of those drinks! 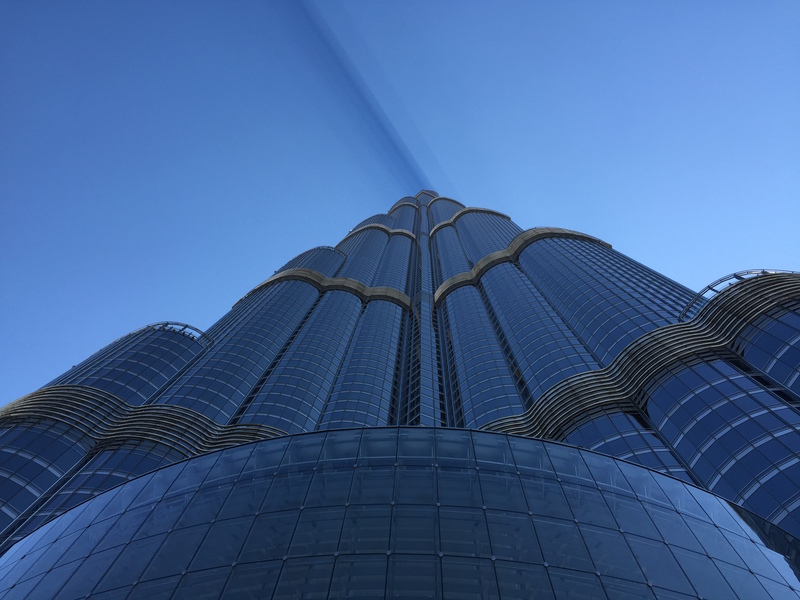 Burj al Arab is more expensive and looks way better. We want to go back and do that one for sure. Another trip I suppose!